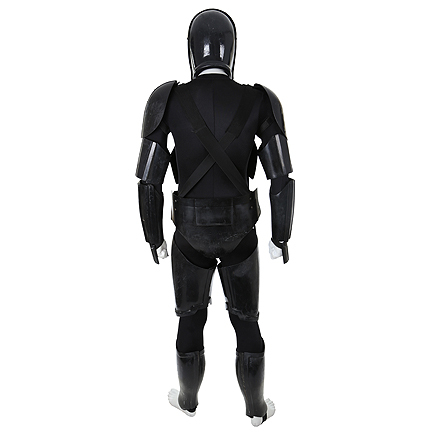 This costume was custom made for the Police Drone’s in the 2007 Sci-fi Action film, “The Last Sentinel”. 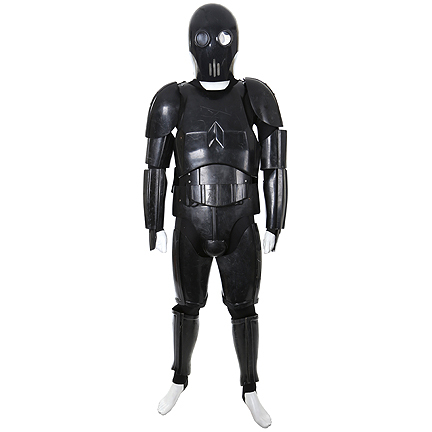 The outfit includes a drone helmet, body armor and a black zip front body suit. 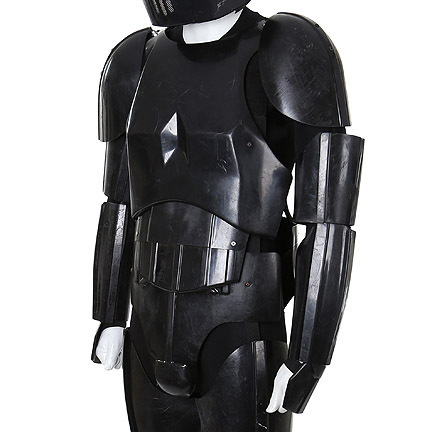 The armor is constructed out of plastic most likely from a vacuum form mold. 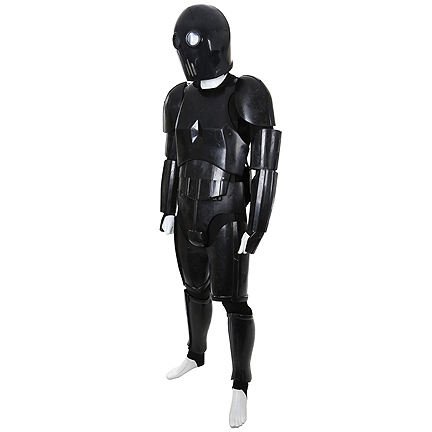 The armor has Velcro closures, which are attached by adhesive glue. 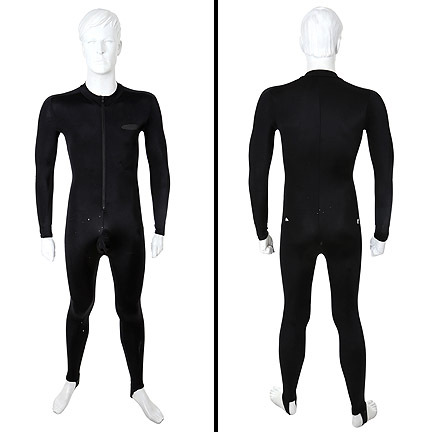 The adhesive has dried in certain areas and will require some repair. 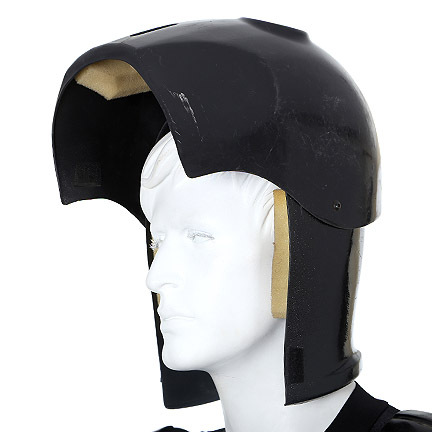 The item is in screen used “battle” condition as it was subjected to stunt work and pyrotechnics. 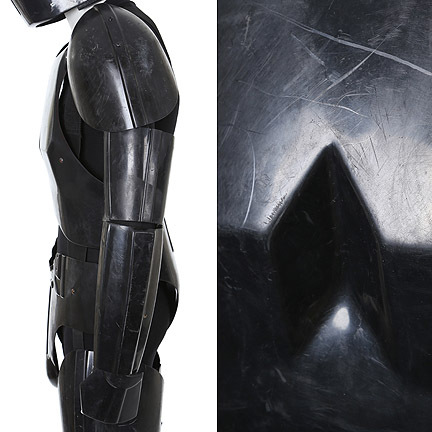 Noticeable scratches and minor cracks are visible on the plastic armor. 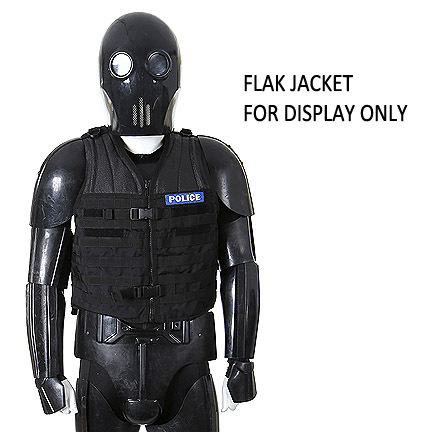 A POLICE FLAK JACKET WAS ADDED FOR DISPLAY PURPOSES ONLY AND IS NOT INCLUDED IN THE FINAL SALE. 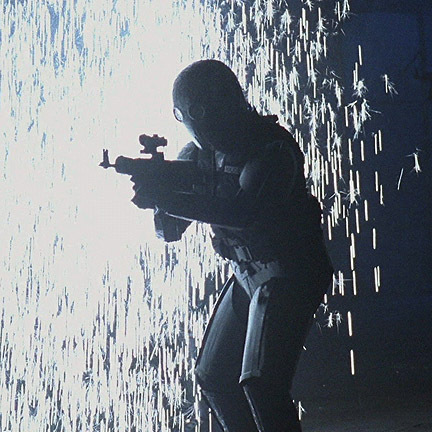 Background actors can be seen throughout the film as Police Drones, the main enemies of the rebel warriors. 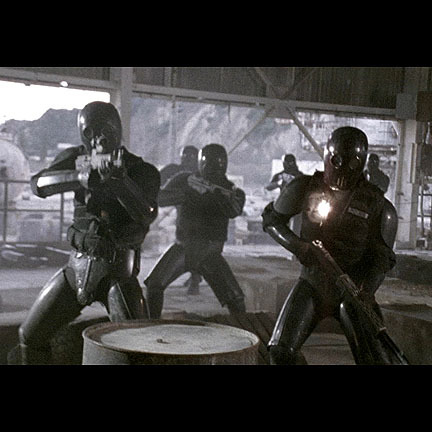 The most detail is visible during the last scenes of the film as Tallis (Don Wilson) and Col. Norton/Gun (voice of Keith David) attack the drone base. 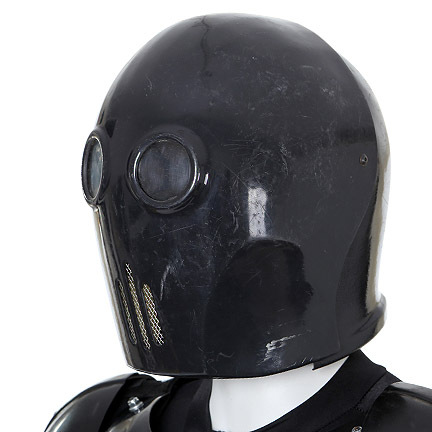 Here Tallis stops all the drones from the central mainframe where they all lose oxygen, are frozen in movement and suffocate to death. Accompanied by a letter of authenticity from the costume house. 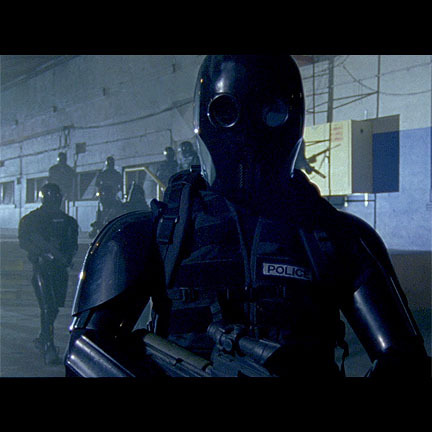 “The Last Sentinel” is directed by Jesse Johnson, and stars Don “The Dragon” Wilson, Katee Sackoff (of Battlestar Galactica), and Keith David. Set in a future where war becomes a way of life, a group of drones sworn to protect humanity are now driving them out into extinction. With little hope for mankind’s survival, a lone soldier named Tallis (Wilson) joins forces with a rebel (Sackoff) to fight back and save the planet.